Clear finished hanging glass star. This is an authentic and beautiful star that bring a whimsical rustic look to your home decor.We offer you three sizes, 11 inches, 13 inches and 16 inches diameter. Wired is optional please choose below if you want it. 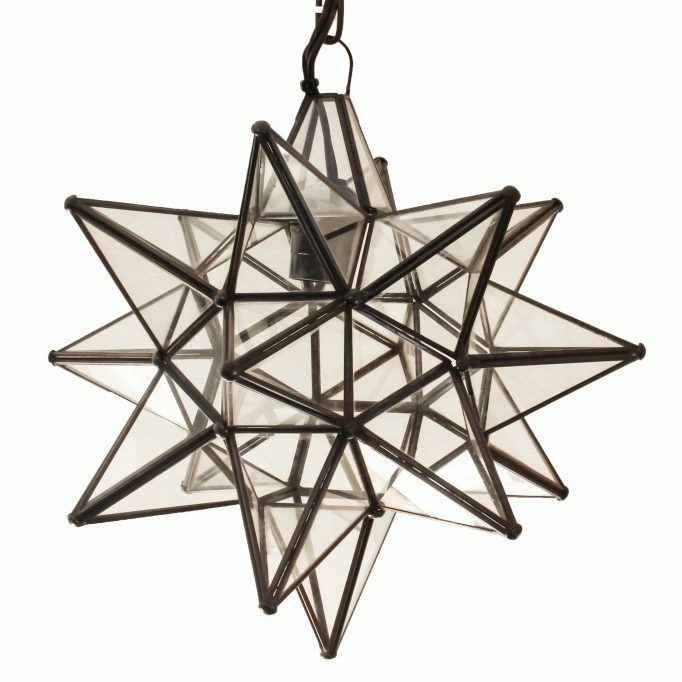 Clear finished hanging glass star. This is an authentic and beautiful star that bring a whimsical rustic look to your home decor. 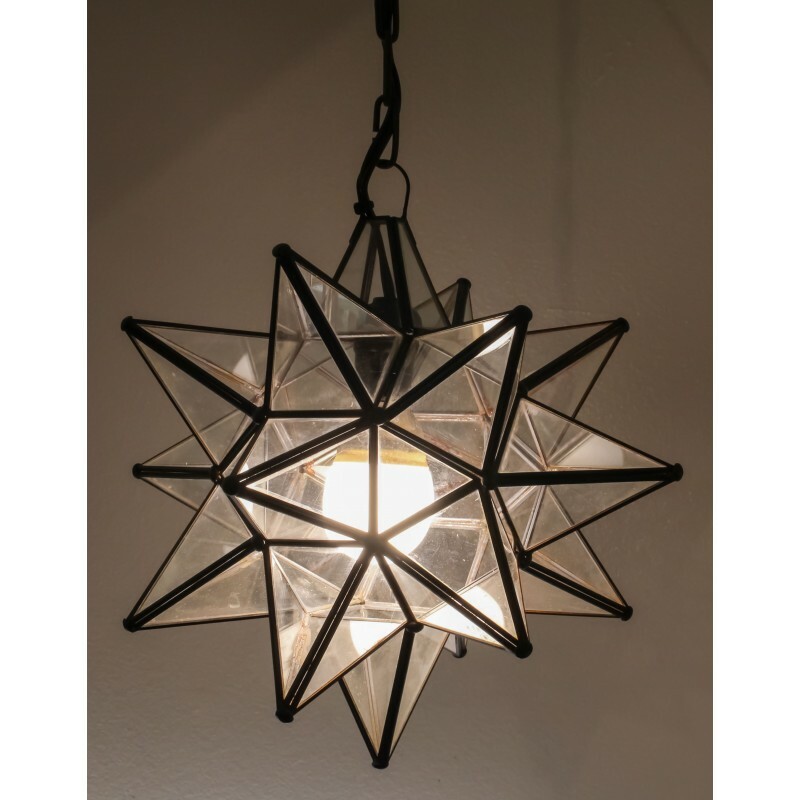 Talented Mexican artisan have adopted the Moravian traditions and are now known for their own hand made star lamps. For your convenience we offer three sizes, 11 inches diameter, 13 inches diameter, 16 inches diameter.